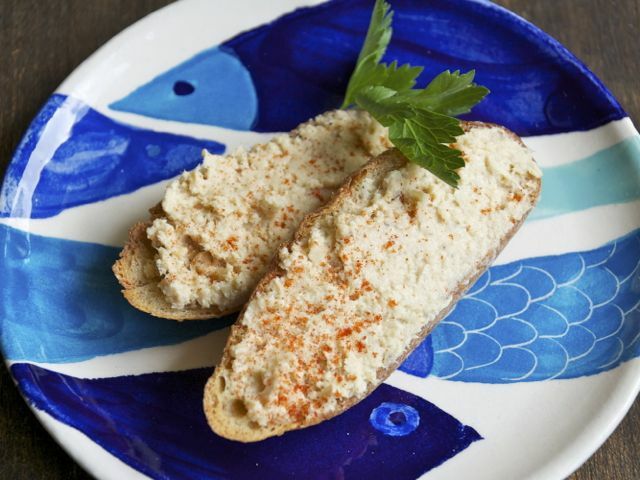 This spread is also delicious made with skinned and boned canned sardines. Spread about 1 teaspoon of this mixture on each bread round. Top with a slice of beet, cucumber, or tomato, then place a small ball of the tuna spread in the center of each canapé and top with a small spring of parsley.